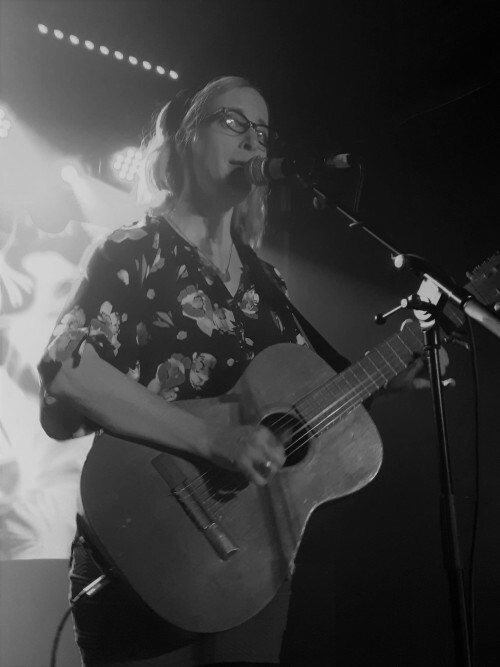 My first exposure to the music of Laura Veirs was with the very beautiful album Carbon Glacier, which after a quick peep at my copy came out back in 2004 – a remarkable fifteen years ago. Her stunning latest album The Lookout (2018) is now her tenth long player and her songwriting continues to dazzle. Her incredibly expressive singing voice and ability to pull out gorgeous melodies is as immediately identifiable as ever. Tonight Veirs, who is from Portland, Oregon, performs solo apart from a number of tracks on which she is more than ably assisted by her support, Sam Amidon. He’s a fellow American now residing in London and incidentally married to Beth Orton (another bloody genius). To call Veirs’ music pop folk may sound like a disservice but it is most assuredly not. It is both delicate, melodic and infused with a poppiness that is hard to resist. 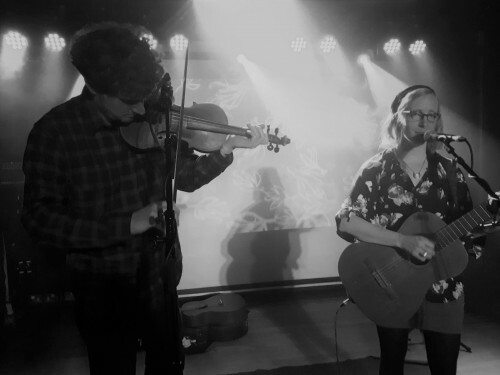 Sam did a short set highlighting his not meagre talents on guitar, banjo and vocals and then Laura joined him for his last two numbers. He was an integral part of the show as he returned the compliment by accompanying Laura on her final numbers with some subtle violin, which was just awesome. So with ten albums of material to choose from, Laura dipped and dived into her exquisite body of work starting off with the lead track on The Lookout, Margaret Sands, and veering far and wide, Seven Falls, and a cover of Mountains of the Moon by the Grateful Dead, which brought out the inherent beauty of the song. She did Song for Judee, a tribute to the late Judee Sill, which appeared on her 2016 collaborative album with Neko Case and K D Lang. Her set was mesmeric to watch, with such delicate guitar playing and her crystalline pure voice, especially on July Flame and Thru December. I was hoping for Galaxies but sadly it wasn’t to be. But this was more than compensated by her and Sam dueting at the end of the show – it was heavenly. I had waited 15 years to see her, make sure you don’t wait that long.